Hungary’s Prime Minister Viktor Orbán has formally thanked the Greek far-right Golden Dawn party for their support during last month’s vote on the activation of Article 7 against Hungary in the European Parliament. The move is likely to cause new frictions in the European People’s Party, Orbán’s political home in the EU. 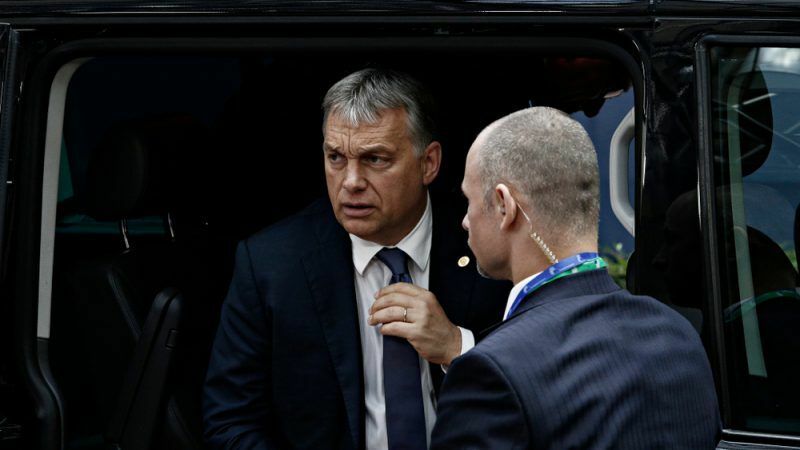 “I would like to express my gratitude for your support during the vote on the report on the situation in Hungary […] I believe that the report is a verdict against Hungary and the Hungarian people,” Orbán said in his letter to Golden Dawn, obtained by EURACTIV. “I appreciate the support you have shown towards national sovereignty and solidarity during the vote. I can ensure you that regardless of the shameful attacks of pro-immigration forces, we will not give in to extortion,” the Hungarian premier added. The letter was sent following a heated vote in the EU Parliament on 12 September, where the majority of MEPs triggered Article 7 proceedings against Hungary over the rule of law violations. The case is now in the hands of the European Council, which will have to vote as well on whether to continue proceedings over a serious breach of the EU’s core values in Hungary. Reacting to the letter, leftist MEP and Vice-President of the European Parliament Dimitris Papadimoulis said that Orbán has now established new communication channels with the Greek far-right group. “Golden Dawn, blocked and alienated even from Le Pen’s group, and Orbán, a political ally of New Democracy’s Kyriakos Mitsotakis and Manfred Weber, have established communication channels. For how long he will continue being part of EPP?” Papadimoulis wondered. 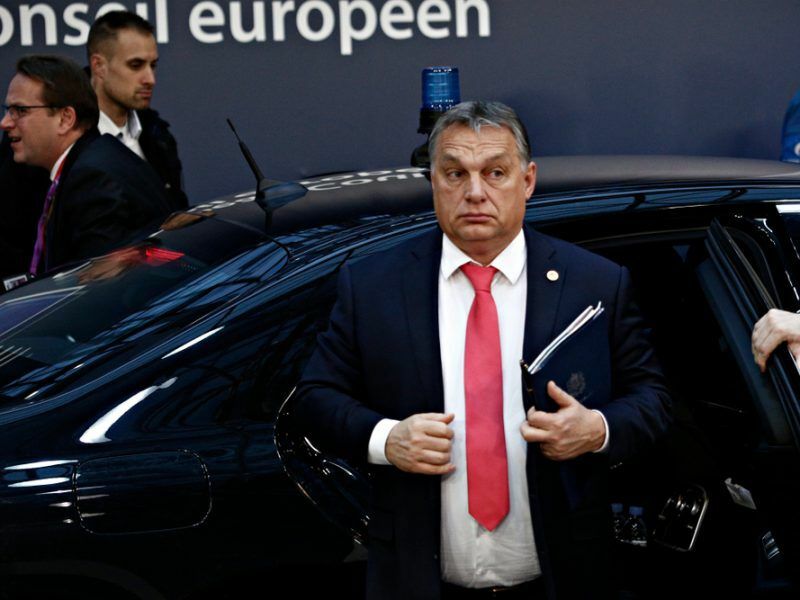 Orbán’s actions in his country combined with his hardline anti-migration rhetoric have put many centre-right politicians from the European People’s Party (EPP) in a very difficult position. European Commission President Jean-Claude Juncker, also a member of the EPP, has expressed his dissatisfaction with Orbán’s moves, saying that his membership in the EPP family is “a problem”. EPP officials, in general, avoid discussing the issue and their basic line is that the EU socialists (S&D) and liberals (ALDE) intentionally focus on Orbán in order to divert attention from their own problems. However, Orbán’s future in the EPP is a crucial factor for the next EU election and the European Commission Presidency. So far, former Finnish Prime Minister Alexander Stubb and German MEP and EPP group leader Manfred Weber have announced their candidacy for the Commission’s Presidency from the EPP. Centrist Stubb has made clear he does not want to belong to a party which accommodated Orban’s party while conservative Weber voted in favour of activating Article 7 against Budapest, but insisted on the need to maintain dialogue and keeping the door open. Weber has also said that he will sit on the same table with Orbán and Italy’s far-right Matteo Salvini to discuss and reach compromises. 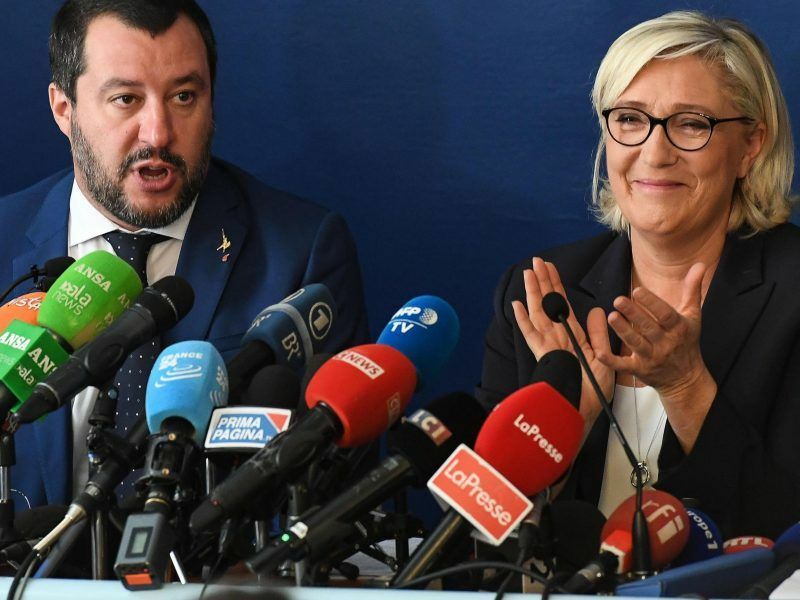 Salvini and France’s far-right leader Marine Le Pen have recently decided to join forces ahead of the EU election in May. Italy and France’s far-right leaders launched their European Parliament election campaign on Monday (8 October) with an attack on the “Brussels bunker” they hope to enter en masse after the May vote. 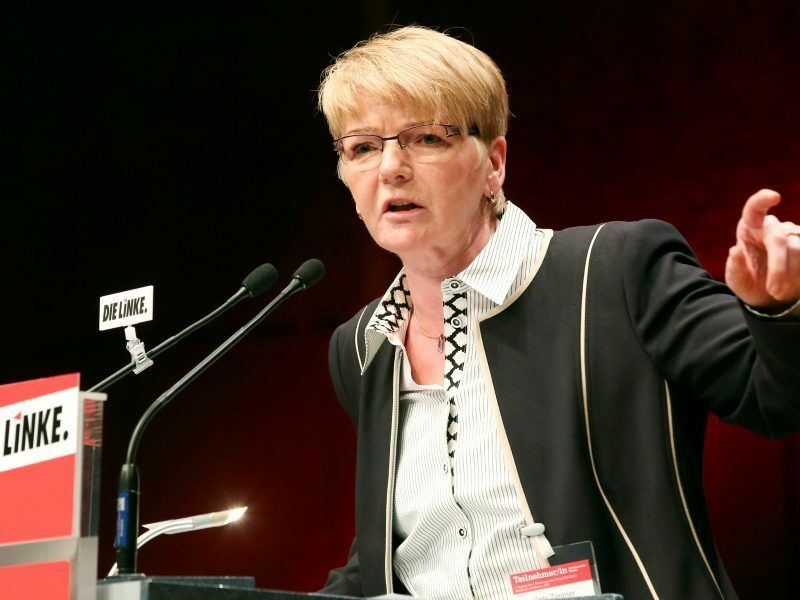 In an interview with EURACTIV, leftist chief Gabriele Zimmer (GUE-NGL) said she expected a closer coalition between the various right-wing forces, including some members of the EPP, who will try to influence decisions not only in the Parliament but also through other EU institutions. “It’s going to be a real fight on the EU values. I am not sure that all leaders of the political groups recognise that as the main challenge,” she said. Manfred Weber’s European Commission presidency bid is “absurd” given that he represents a political party with close links to Vladimir Putin and politicians like Hungary’s Viktor Orbán, who openly question the EU’s values, according to leftist chief Gabriele Zimmer. Another topic which shows EPP’s conflicting directions is a name change deal recently reached between Athens and Skopje to rename the Former Yugoslav Republic of Macedonia as “North Macedonia”. The vast majority of EPP leaders are supportive of the deal, except the opposition parties in Greece and FYROM, both EPP members, who explicitly oppose it. They are also publicly backed by Orbán while conservative Weber has remained silent over the issue. Hungarian Prime Minister Victor Orbán produced a video message on Saturday (2 June) supporting the efforts of Macedonia’s main opposition party to block a solution to the long-standing name dispute with Greece. He praised its refusal to bend “under pressure from foreign powers”. 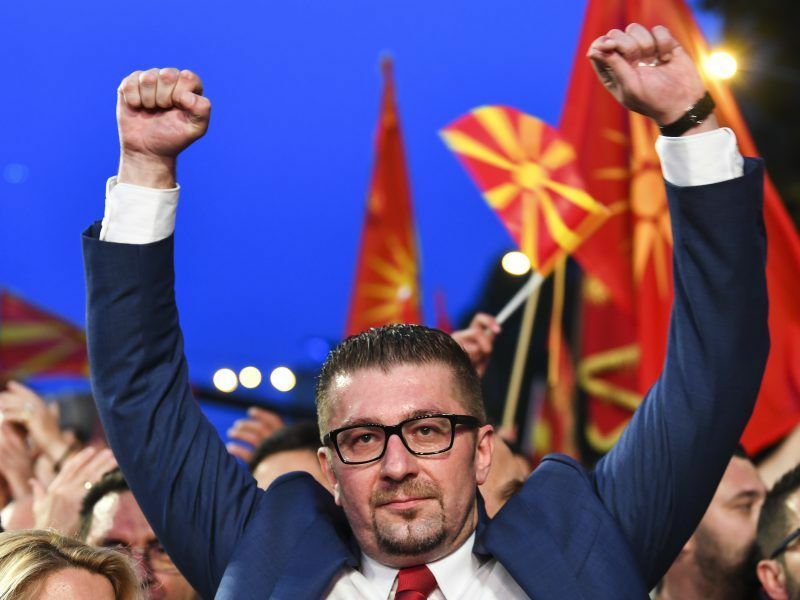 FYROM’s opposition VMRO-DPMNE party boycotted a recent referendum on the name change deal and asked for a snap election. Greek centre-right New Democracy is also in favour of an election and has vowed to reject the deal in a parliamentary vote. On the other hand, EPP leader Joseph Daul has made it clear that the member parties should support the deal. “I remain disappointed by the opposition’s role in this process to date, constructive cooperation must prevail over boycott,” Daul recently tweeted. Parliament in Skopje will vote next week on a proposed review of the Constitution and the name change deal with Athens. Greek News247 portal reported today that FYROM Prime Minister Zoran Zaev lacks four lawmakers to achieve the necessary two-thirds majority.